All Ramones items listed below are authentic and very limited. 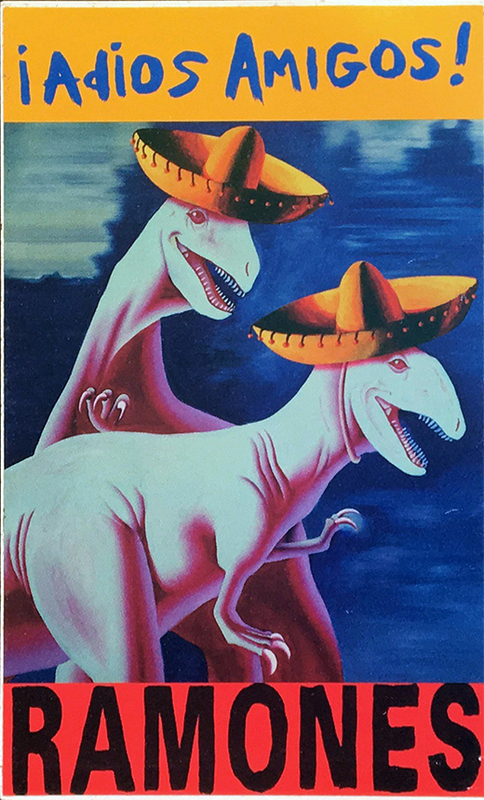 We do not carry multiple items. All prices and availability are subject to change. All prices include shipping and handling for all USA customers. All other destinations will require actual shipping cost to complete transaction. Have a question? Ask us before purchasing the item. Thank You. 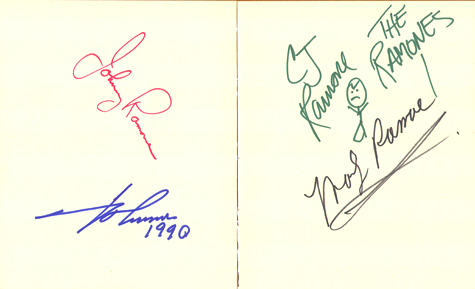 Description: 2 separate 4x5 Autograph Paper signed by the Ramones in blue, black, green and red sharpie pen. Note: Item signed by complete 1990 Ramones band while on their 1990 Escape From New Youk US tour in Dallas Texas. Description: Johnny Ramone Vintage Guitar Pick. Signature / Logo. Description: 5x9 Ramones Arminski 1995 day glow handbill. Description: Ramones Iadios Amigos LP Promo Sticker. Size 4x5 Color. "These photos taken by a local female photographer, shot with a 126 camera. 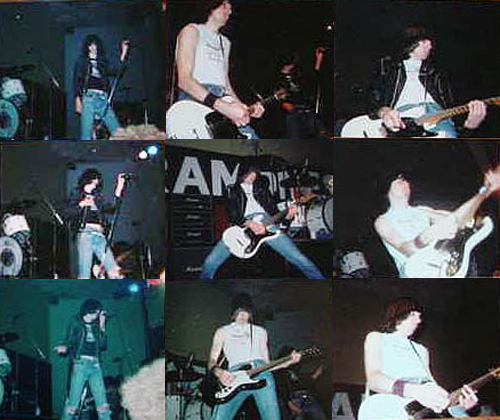 Not the greatest quality but rare photos of the Ramones."